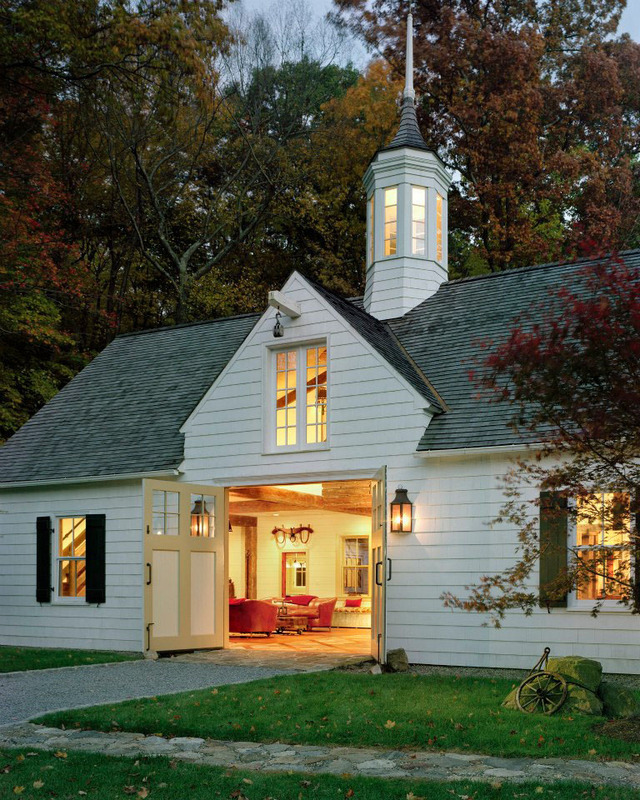 Studio Agoos Lovera transformed an early twentieth-century horse barn in New Canaan, Connecticut into a guest house, adapting old elements to new uses. 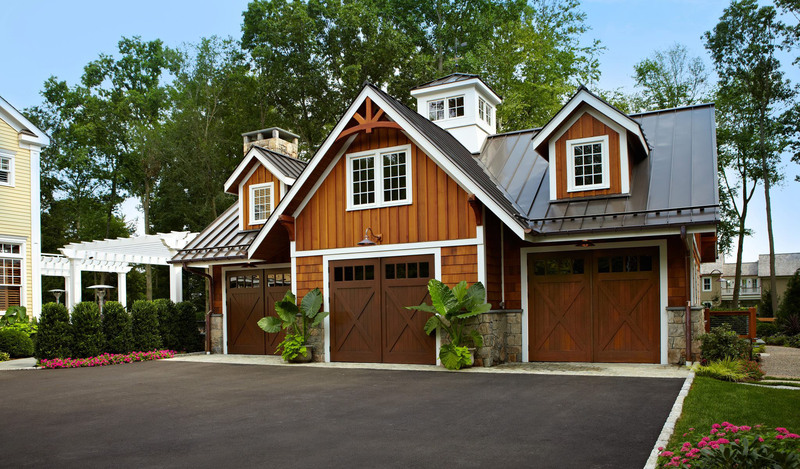 This lovely classic contemporary home in Connecticut has an entire barn-like structure built to accommodate the garage. On the outside, it looks like a three-car garage house. The spacious interior of the structure has a car elevator which leads to a subterranean parking space in the basement. Designed by Ike Kligerman Barkey Architects, the contemporary renovation of the Lookout House in Fairfield County, Connecticut brings warmth to the home with architectural design in the spirit of Frank Lloyd Wright. 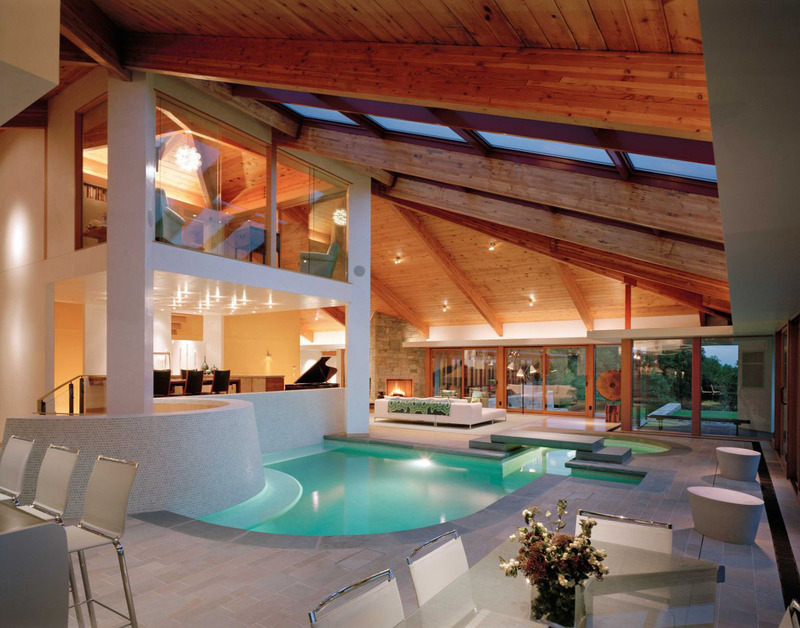 An indoor swimming pool in the main living area is the central focal point of the house. There is also an outdoor swimming pool with views of the Connecticut countryside.